An undated photo shows the oldest human fossil found in Brazil, dubbed Luzia, at the National Museum of Brazil in Rio de Janeiro, Brazil. Following a catastrophic fire in September that destroyed millions of priceless items at the National Museum of Brazil in Rio de Janeiro, Google has unveiled a project that preserved some of those precious artifacts and can now be explored through Google Street View. Google’s Arts & Culture team began collaborating with the museum on taking its collection digital back in 2016, Program Manager Chance Coughenour wrote in a Google blog on Thursday. That catalog is now available online for users globally to revisit some of the rich cultural heritage that was housed in the museum’s massive collection. The fire that tore through the museum earlier this year devastated 200 years of precious items. 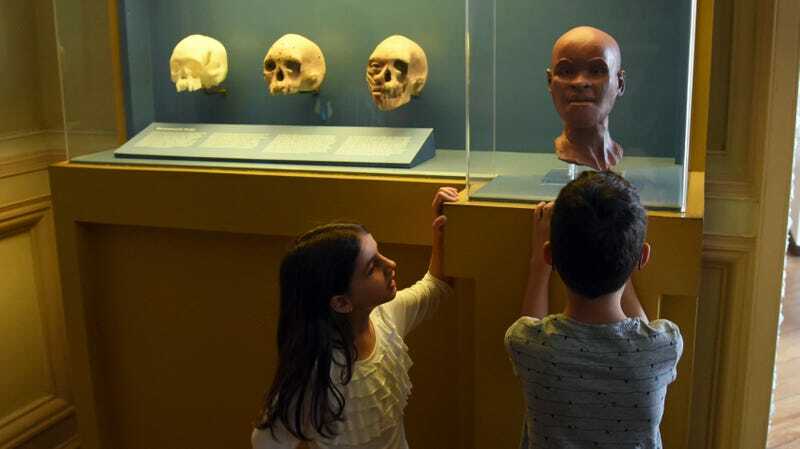 Among the those lost in the fire were dinosaur bones, remains of the oldest human found in the Americas known as Luzia (some of which were able to be recovered), Egyptian artifacts, and numerous other scientifically and culturally significant items. Pop into the museum for a tour of its collection right here.